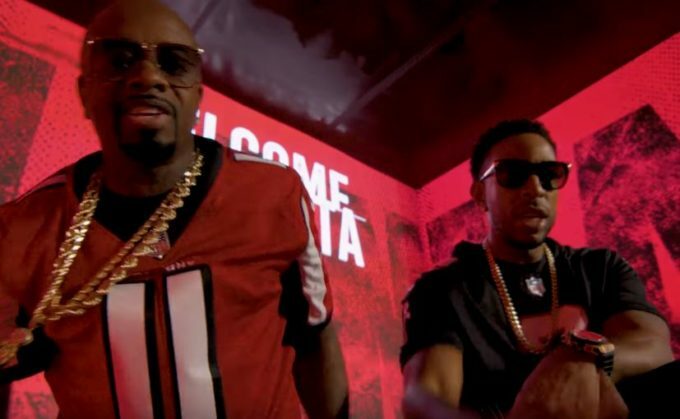 Ludacris and Jermaine Dupri put out their iconic hit ‘Welcome To Atlanta‘ back in 2002 and now they are teaming up again 16 years later for a remix dedicated to their home NFL team, the Atlanta Falcons. Titled ‘Welcome to Atlanta – Falcons Remix’, the song uses a slightly altered version of the original beat but with all new verses. The song comes along with a music video featuring top athletes of the game from both past and present generations.